North Hollywood, CA (SHAOLIN COMMUNICATIONS) May 10, 2016--Tai Chi Youth will launch its first Chinese Yoga™ program June 4, 2016, in North Hollywood Park, California. This Chinese Yoga™ program was created by Richard Del Connor, “Buddha Zhen,” in 1984 for all of the Shaolin Chi Mantis™ Kung Fu and Tai Chi programs taught since then. This is the first time students can learn and experience the health and well-being of Shaolin Kung Fu without participating in the martial arts training of Shaolin Kung Fu or Yang Tai Chi classes developed by Richard Del Connor in the 1990s when his programs were taught in Utah rehab centers, schools, churches, continuing education and a maximum security prison. Chinese Yoga™ is different from any other yoga system or yoga program. Some of the positions are the same as in popular yoga programs, but none of these positions are held longer than ten seconds. This fast-paced routine was developed to be taught in 20-minutes with another 20-minutes of meditation and qigong breathing exercises added to it as students progress in their energy flow abilities. “The key is relaxation,” explains Buddha Zhen. “Stretching requires relaxation or you are performing dynamic tension exercises. In Shaolin Kung Fu and Tai Chi we teach that relaxation is the foundation of stretching. 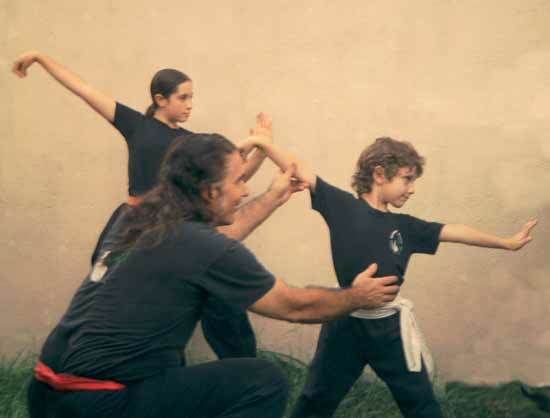 The breathing exercises and energy flow techniques must be taught gradually as the student becomes adept at communicating with the various parts of their body. Classes will be offered on Tuesdays, Thursdays, and Saturdays at 10:00 a.m. at several locations within North Hollywood Park, from June 4 to September 24, 2016. Chinese Yoga™ Master Buddha Zhen will select appropriate locations after the class meets at 5123 Tujunga Ave., North Hollywood, CA 91601. Students can obtain more information from Buddha Zhen (pronounced, “Jen”) by phone 818-723-2769 or the Tai Chi Youth website Chinese Yoga™ page: www.TaiChiYouth.org/yoga. Tai Chi Youth is a 501(c)(3) nonprofit organization founded 1996 by Richard Del Connor. TCY and its founder have received awards and letters of recommendation from the Utah Governor, Utah Chinese Society, and Utah Public Schools for improving the lives of youths, convicts, drug addicts and seniors. Tai Chi Youth is currently headquartered in North Hollywood where Buddha Zhen teaches traditional Shaolin Kung Fu and Yang Tai Chi classes and private lessons.